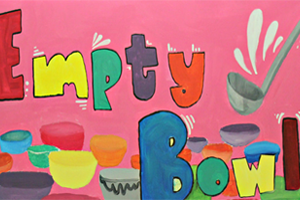 Registration for the Empty Bowls dinner is now open! Empty Bowls is a dinner fundraiser to support Our Daily Bread, Maryland’s largest hot meal program, serving more than a quarter of a million meals to those experiencing hunger in Baltimore City. The event will take place on Thursday, February 14, 2019 at 5:00-7:00pm in the Bryn Mawr cafeteria. A $10 suggested donation is requested at the door. Register for your seat today!